On-line information Volyn region, Shatsky district, with. The Pulemets, st. 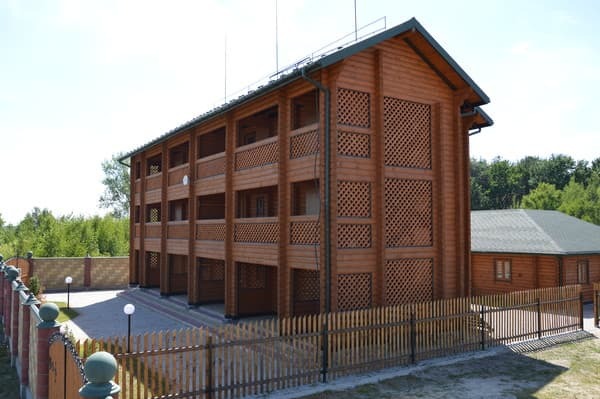 Soldier 7 068017 47 69 - Victor (Viber) +375 256 936 653 Living conditions: There are separate rooms with different conditions of amenities. Standard 3-bed (4 rooms) In each room: double and a single bed, TV with satellite TV, dining table and chairs. 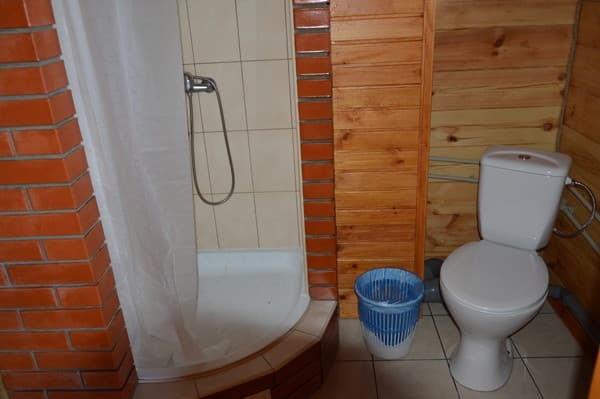 Bathroom (shower, toilet, washbasin). 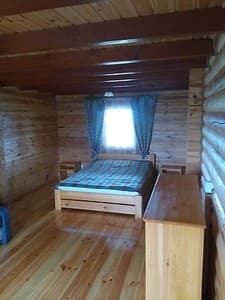 Junior Suite 3-bed (4 rooms) In each room: double and a single bed, TV with satellite TV, dining table and chairs, wooden floor and lake view. Bathroom (shower, toilet, washbasin). In front of each room is a covered terrace with a wooden table and chairs. Description of the room: Standard triple with a terrace and a terrace table. The room has a double bed and a queen size bed. Number on the 1st floor. 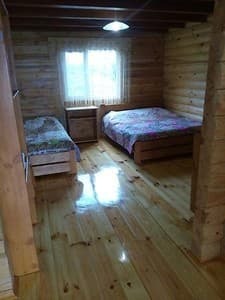 Description of the room: The room has a double and a single bed, a terrace with a table and a view of the lake and forest. 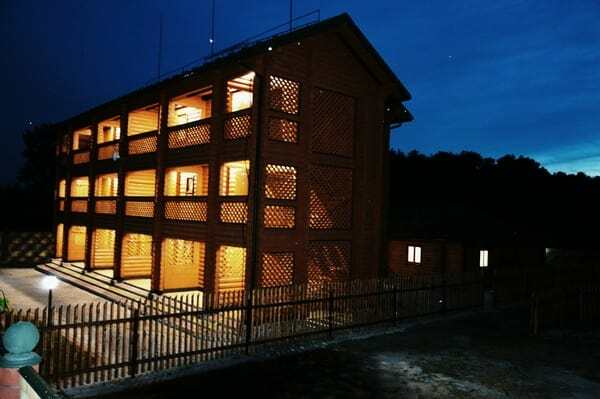 Description of the room: Two-room suite with a view of Lake Pulemets and Shatsky National Park consists of a bedroom and a living room-kitchen. 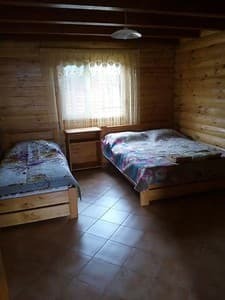 In the room there is a large double bed and a double sofa, bedside tables, a chest of drawers, the area of ​​the room is 50 square meters, the terrace area is 20 square meters. 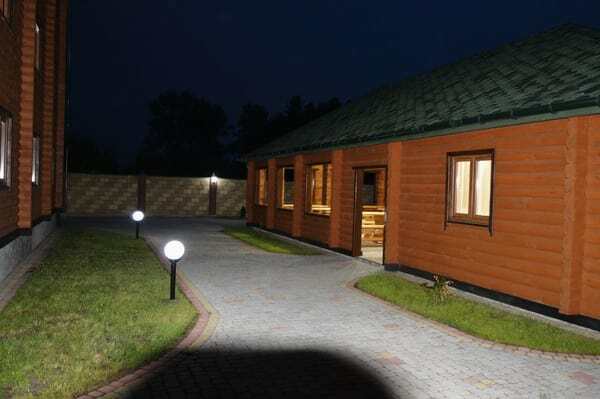 On the territory of the estate there is a large spacious kitchen (40 sq.m. ), where 4 slabs with hoods are installed, a large work area, sinks and a separate set of utensils for each room. 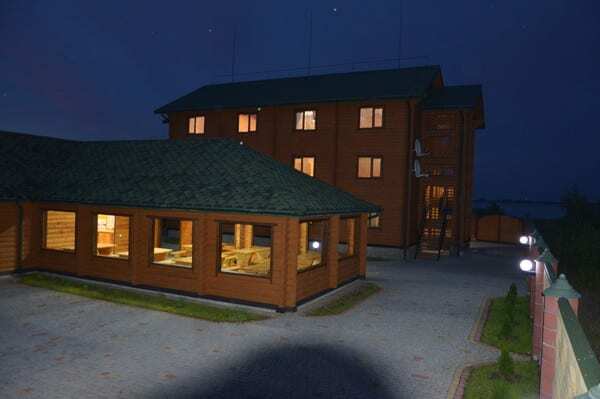 The recreation center "Pulemchanka" is located in the village of Pulemets, Shatsky district. Distance from the recreation center to the village. Shatsk is about 30 km. By bus from Shatsk or Lutsk. It is possible to book a transfer (up to 5 places) from Shatsk for an additional fee.